Yes, a WAAS GPS is sufficient to meet the requirements. (SOLD) 2-1/4" round panel mounted VHF radio. Pulled when replaced by Dynon Skyview radio. Worked great for many years. $200 obo, shipped to lower 48. Can't wait to follow your Vlog... Thinking about starting a -14 build myself, to replace my flying -9A someday. Go through Garmin... And yes, you can buy one update. But two or three updates will cost you as much as an annual subscription. The non-WAAS GPS is IFR legal... Just not as a sole source, it requires a VOR or other nav source as well. Therefore, the 430 is legal as it has both sources in one unit. Text him? Not sure, never had a problem getting a response back from him. Big endorsement of Barry Foote of AV-Comm Avionics. Mobile avionics technician based out of the Portland area. Travels all around the PNW. And there will be annual subscription costs for database updates that other manufacturers don't charge... Make sure you're doing apples/apples cost analysis. Looks great... I've been meaning to actually develop a check list for my plane. Something like this might actually drive me to do it. I've got a deposit in for one of these engines. ATC Says, “Altitude Upon Request.” Say what? More likely "Altitude ON request". Like you guessed... He's putting you on hold, but has the note to get back to you when able. Why is my airplane flying without me? Or, who stole my hex code? You have to register an account, even a free one, to enable the position only flights within your settings. If you're not logged in, it will not be available. Nose wheel on grass failure inevitable? Have you seen how much the nose gear "wobbles" on paved strips? They're not "designed" for pressure changes... As they are not "aircraft" lights. But there are plenty of us using them effectively. Go with what you would like. Baja Designs would be my suggestion... Currently running two of their larger 4 bulb designs, but the 2 bulb should fit into your installation. 2,450 Lumen. Mel, I've often wondered if this process applies if you are not the builder of the aircraft. I assume so, but have not found anything that justifies it. I'm in the Seattle area... But not building. I believe there are a couple current builders on FATPNW. Might be worth joining there and asking the locals. +1 for the FlyLEDs. Not only an OUTSTANDING product, but great customer service. You're never going to fly at altitude? Cabin heat can come in handy, even in the summer. Don't need to turn on the master, when you can fire up a screen off its backup battery. Can recommend asking on Flights Above the Mountain Southwest... Might be a slightly larger audience there. Great to work with and an outstanding product. It is not a push/pull cable setup, so there will be slack until you take up the extra by putting pressure on the pedals. Hangar space at at GEG? I've already copied your post into FATPNW. Standard answers about GEG not being the best place for a hangar, SFF would be possible. Once I get your membership approved, I'll tag you in the post. I'm over on the wet side of the state... But, might be worth posting your request in FATPNW. I copied your request there to see if I can find something for ya. Got mine as well... Looks like they're just going through the list and slowly contacting each person with the older box. I did nothing to start the exchange process, they called me. Looking forward to participating this year... Any trouble with a young teenager tagging along? I don't think you're going to find a whole lot of difference between the two... Just answer the question on whether you want the aerobatic capability or not. But... Riding is always fun too! Why not just drop the passenger seat and allow him in/out that way? If you really want to go up and over, Supertracks... Enough said. Thought about trying to get my Black Lab in the back to enjoy some flights... More worried about trying to get him up there, more than anything. Anything special you do to help your lab up? You do not need a NAV radio, as long as your GPS is WAAS. If you did have a GPS failure, you could utilize your G3X as an emergency navigation source and receive help getting to VFR to land. It is helping... By trying to avoid what it clearly stated as not being allowed. 91.319 does not apply to certificated aircraft... Read the first line. Anything keeping us from setting up a progressive inspection cycle? Most of my trips are to Friday Harbor, Bellingham, and Bremerton. Based out of Auburn. Slowly adding to the list with recommendations from the FATPNW crowd, however. AviationCovers.com Great company and product. They mentioned it in the Dynon Forum 472 discussion... But they didn't give any information on replacements, just stating that production would begin and they would start shipping again. Yep... Hartzell is slow to respond at 1700, but likes 1800. Might be worth joining FATPNW on FaceBook. We have quite a few groups around that do formation, but I'm not sure about any formal classes. Can check with the Blackjack Squadron out of KAWO. 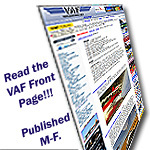 It may by VFR and IFR charts... But that does not make it an IFR navigator, slight difference there. If you have an iPad... There are trainer apps for both the Garmin GTN and the Avidyne IFD. I suggest you download and try them both out for yourself.